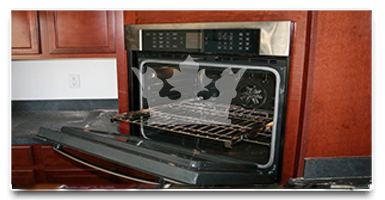 If there's a company that you can trust with our oven cleaning in Brent, this is Royal Cleaning. Our call representatives that answer when you call the number - 020 8050 2865 can explain to you in detail why we're the best choice and how we're able to offer the best oven cleaning prices in Brent as well as answer all your questions regarding this particular service. We know how to handle every single type of oven and if you give us a call, we'll give you a free no obligation quote for the cheapest oven cleaning in your neighbourhood. We always try to get our clients their money's worth when it comes to oven cleaning and so far we've been doing a good job satisfying almost all of them in Brent. 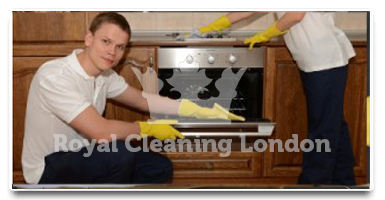 All of our oven cleaning clients in Brent are entitled to the 200% guarantee policy of Royal Cleaning, which means that if the oven cleaning was not from the highest possible standard and was not enough to satisfy the customer, he can call and request a free re-clean if 48 hours have not passed yet. I have used Royal Cleaning and their cleaning services ever since I moved in Brent with my husband. We are both really busy all of the time and the fact that we can rely on this company for every single job around our house even the oven cleaning is wonderful! The apartment i currently live in with my husband in Brent is the best I have lived in ever since I moved to London. The only issue with it was with the oven which needed a deep oven cleaning and that was the final piece of the puzzle of making this apartment feel like home.